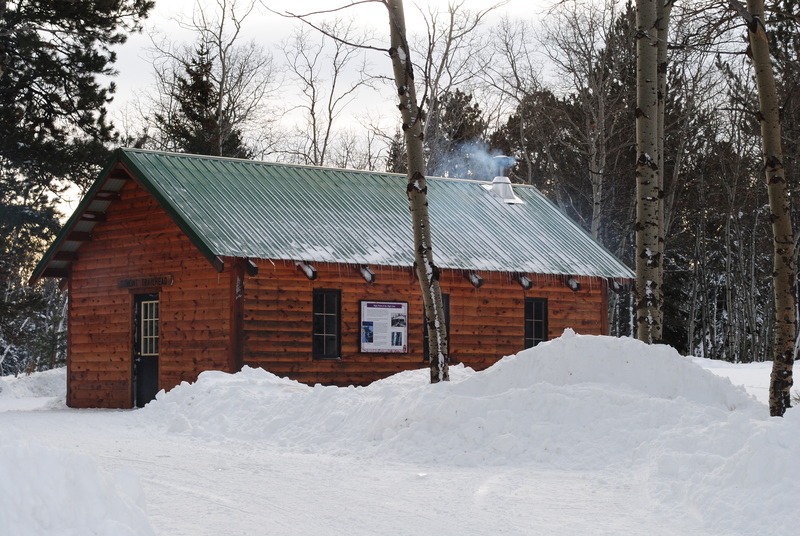 When the Black Hills snowmobile trails are open from December 15th to March 31st, the Dumont Trailhead is a busy place. 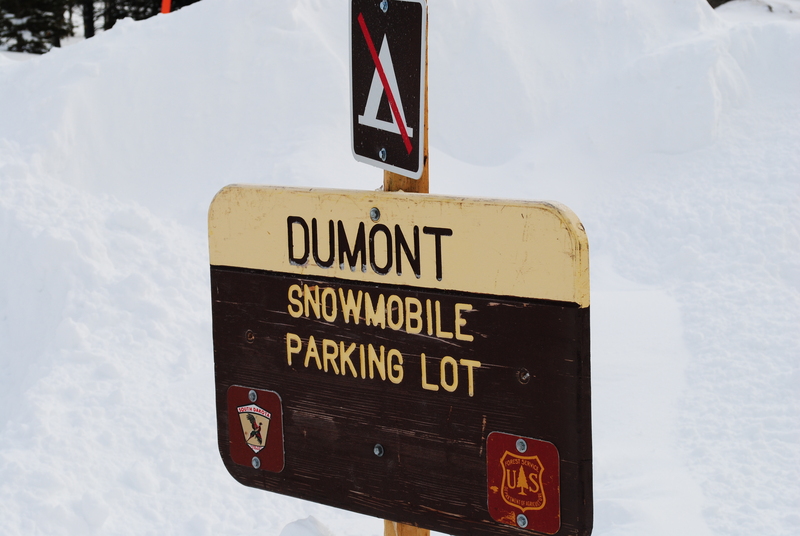 Snowmobiling on the Mickelson Trail is only allowed in places from Dumont north to Deadwood. But, gives snowmobilers access the the 350 miles of groomed trails that make up the Black Hills Trail system, plus off-trail riding in the 1.2 million acres of the Black Hills National Forest (see website below for complete information). The trailhead is named after the lumber and cattle town founded in 1890. The town has faded away, but Dumont is still a desirable destination for outdoor enthusiasts. Since this is the end of the line for snowmobiling on the Mickelson Trail, Dumont is also a great place for other winter activites. The 93 miles of the trail to the south is all non-motorized, perfect for snowshoeing and cross-country skiing. How do you get to the Dumont Trailhead? From Lead, head south on Hwy 85. Turn left onto Rochford Road. You’ll find the trailhead about nine miles down the road. Or, it is about nine miles north of Rochford. Visit the South Dakota Game, Fish and Parks website for more information about the George S Mickelson Trail. Also, remember you are required to purchase a pass when using the Mickelson Trail. The pass can be purchased at the trailhead or online. Snowmobile information and maps are also available at the SD GF&P website and at many businesses throughout the Black Hills.